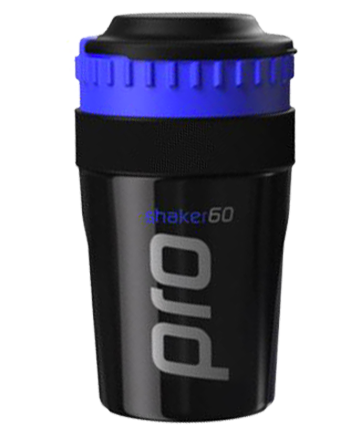 Assists with the metabolism and absorption of dietary fats. Contains L-Carnitine - fatty acid transporter. Lipotropic ingredients Choline, Inositol and Methionine. Assists in preventing a build up of fat in the liver and arteries. May assist in reducing cholesterol levels. 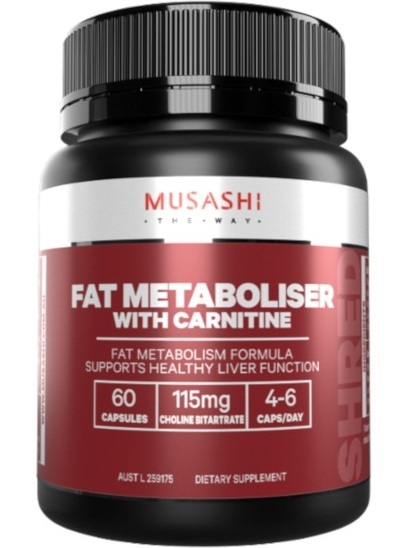 Musashi Fat Mobiliser + Carnitine combines L-Carnitine with three lipotropic amino acids Choline, Inositol and Methionine providing the convenience of an "all in one" weight loss supplement. Fat Metaboliser + Carnitine utilises Choline Bitartrate and Inositol which minimise fatty build up in the liver due to their important role in the metabolism of fat and cholesterol. L-Methionine is an essential amino acid that also assists with the breakdown of fats thereby preventing a build up of fat in the liver and arteries that could potentially obstruct or block blood flow to the brain, heart and kidneys. Methionine assists in the detoxification of heavy metals and has strong antioxidant properties. Fat Mobiliser + Carnitine utilises these fatty acids as a source of energy. L-Carnitine has been added to this potent fat metaboliser for its function as a fatty acid transporter. L-Carnitine's main function is to transport these fatty acids into the mitochondria (energy producing part of the cell) where they are burned as an energy source for the muscles. Fat Mobiliser + Carnitine therefore increases the use of fat as an energy source, and thus weight loss. Adults - For the absorption and metabolism of dietary fats, take 2 Fat Metaboliser + Carnitine capsules first thing in the morning and 2 capsules last thing at night. To utilise fatty acids as energy, take an additional 2 capsules prior to aerobic exercise. Assist weight loss; assist the metabolism of fatty acids; burn fat as a source of eneregy; assist in the prevention of fatty build up in the liver and arteries; assist in the maintenance of healthy cholesterol levels. Dieters and those on weight loss programs; bodybuilders as part of their "cutting up" regime; individuals with fatty liver or alcohol-induced fatty liver; individuals with hyperlipidaemia (high cholesterol); individuals for prevention or treatment of arteriosclerosis; athletes and sports people. INGREDIENTS: Choline Bitartrate 115mg, Inositol 115mg, Methionine 115mg, Levocarnitine 150mg, Encapsulating Aids, Colour.